They are so cute! And look so comfy too! 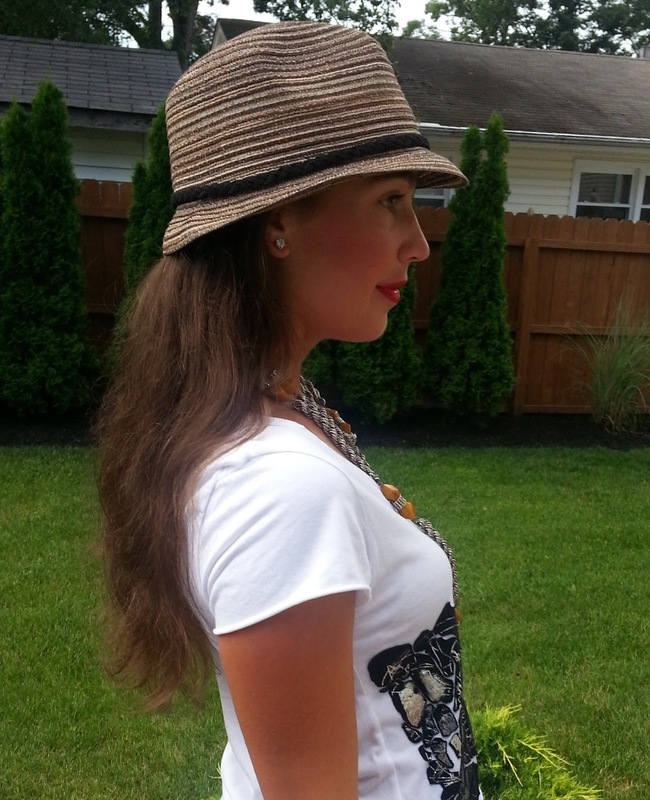 I love chic tees like that that can be dressed up or could be worn casually! Entering the giveaway:-) Hope you are having a wonderful day! Awesome in a medium- very cute! No matter what you wear, you always look great! Those heels are pretty fab. This shirt is SO adorable. Seriously, I love it. I’d probably go for the medium! You look FAB (as always)! love that hat too! Those shirts looks super comfortable. 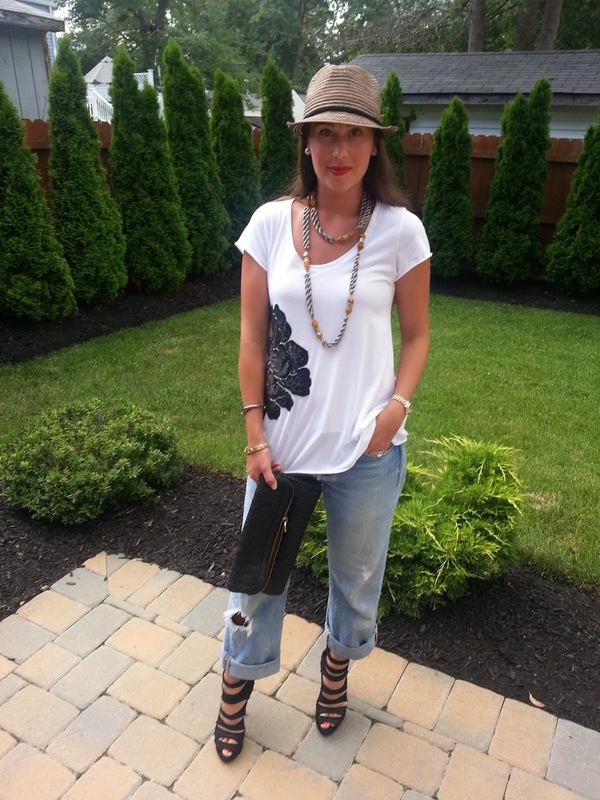 I absolutely love how you styled this shirt…the pants and shoes are so perfect! I’m absolutely crushing on your shoes! Cute top too! Ooops! A small for me to share with someone special if I win! Loving so much here. The hat, the tee, the SHOES. You look so cool. Love it all. Love your outfit! Small tee for me!! 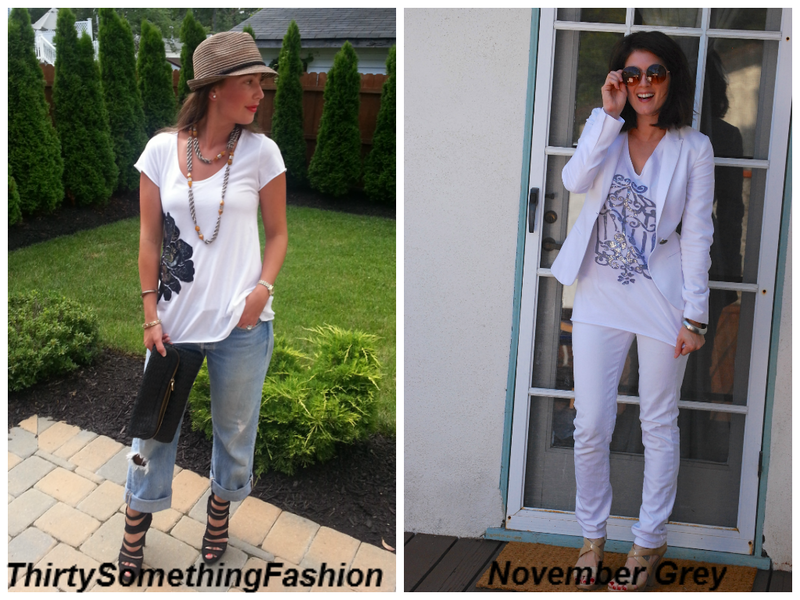 Love the blog and the accessories you sport. Would like to invite you to pick something from my online trendy jewelry shop and flaunt that in your blog. This shirt is so pretty! You and November Grey look cool as ever! It’s amazing what a cool tee can do! Small please! Love this whole look on you!!! Every time I see you in your bf jeans it makes me want a pair! Very cute shirt! Would love it in medium! So cute and looks so comfy! Ahh, those shoes!! And the tee! A small would be fantastic! What cute tees! I would love to win a medium sized one. Andplusalso, I’m a small by their size chart! I think Coin 1804 might be a new “go to” store! Love this adorable tee. So cute!!! love the tee. would like a small. Love Coin and this t-shirt I would think a medium would fit.